Thirsty for the Heavy Seas? Beer takes us on true adventures. It allows us to discover new flavors and exotic cultures. Our quest for great beer can lead anywhere, from corner pubs to faraway breweries, so check out our upcoming events below. 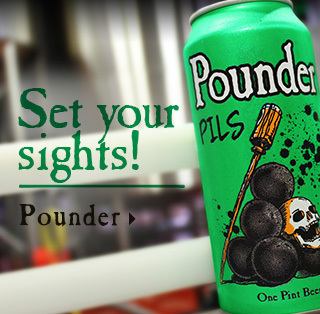 Sample a variety of Heavy Seas craft beers at Sweeney's Wine & Spirits! Grab your crew & roll up to the Heavy Seas Taproom for our 420 party! Grab your crew and your best Hawaiian shirt and join us in the Heavy Seas Taproom for a Luau Party! Join us at Caleb & Broad for a Heavy Seas Pint night! Come enjoy a variety of Heavy Seas and O'Connor brews including Dunes of the Cape- a Pina Colada IPA collaboration! Grab your crew & join us at the Heavy Seas Taproom to support the BARCS Animal Shelter! For the first time ever, Heavy Seas will be releasing an exclusive beer for Pups & Pints from its 15 Barrel Brewhouse: PAW POWER!